New 5 x 5 1/2 duplex in Central Burnaby. 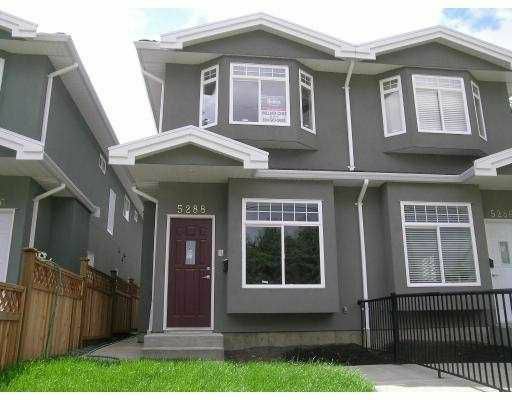 Close to Brentwood Mall & BCIT, on high side w/same view, quiet building, granite counter, maple kitchen, laminate & ti le floor. Spacious for one family living, 3 bedroom, 2 1/2 bath, 9' ceiling, kitchen and family room leading to covered patio 12'5 x 7'. Private front & backyard. No maintenance fee. Must see!